Pinterest makes it nearly impossible not to want to DIY your entire wedding. If Pinterest can create a full wedding completely from tulle and glitter and a hot glue gun, why can’t you? The truth is that we love a DIY aspect to any wedding. It adds a personal touch, it’s smart and we admire the brides that can pull it off. Being creative and crafty is a wonderful skill to live with, and nothing makes us happier than to see a bride who was able to save a ton of money by doing things herself for her big day. She seems so much more intelligent than those who spend copious amounts of money on things they wanted rather than trying to DIY. Not that we think it’s a bad thing; but there’s something about those frugal brides we feel just get it. We know that getting married is the most expensive thing imaginable; and we know you have a lot more you’d rather spend your money on that will last a lot longer than just that one day. For example, that dream house you want to bring your babies home to when that time comes. That’s why we encourage DIY projects for your wedding. They’re fun, they’re inexpensive, and they can help you feel as if you are doing something creative and fun before the big day. DIY is so much fun when you aren’t stressed about it all leading up to the big day. On that note, however, not everything should be a DIY moment. We get wanting to save money and have a lot more money left over with which to have more fun later, but we don’t want you to have any wedding day regrets. Get as crafty as you want, but trust us when we tell you that some things are better left to the professionals. No matter how much you want to do it all and control it all, some things are better left delegated to others so that you can relax, have a good time and actually enjoy your wedding day. Here’s what we think you should never try to do yourself when it comes to the sweetest day of your coupled-up life. Perhaps you have a large, beautiful home in which you can host everyone who is coming to town. Don’t do it; trust us. We know you love your friends and family, but you don’t want a house full of guests in the days before your wedding. For one, do you really want to deal with the mess? Do you want to deal with all the food you’ll need to prepare? Do you want to deal with all the stress of keeping people entertained, having them in and out of your home all day long for days, and having them there when you are gone on your honeymoon? You don’t. We know you’re amazing, and you want to host your loved ones so they don’t have to pay for a hotel, but it’s your wedding weekend. Don’t add this undue stress. On that note, anyone who asks to stay at the bride and groom’s house during the wedding weekend is probably not all that amazing to begin with. We don’t know anyone who would impose like that. If there is one thing you should really splurge on during the wedding planning process, it’s a photographer. Believe us when we say that this is a day that goes by so quickly you won’t remember all of it. 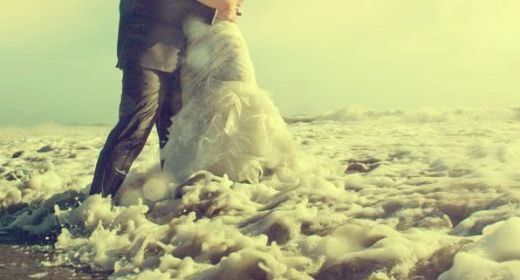 You’ll be in such a beautiful cloud of happiness on this day that you won’t even notice half your wedding. You won’t remember the centerpieces or the cake, or the food or the dancing or anything. You’ll be so wrapped up and distracted with all that’s going on that you won’t have time to take it all in. Imagine waiting so impatiently for your wedding photos to come back only to find out that they’re all fuzzy, all out of focus and all feature the back of someone’s finger. Now you have no memories of your big day because you didn’t receive any quality photos. Don’t take your own photos. Don’t ask your mom to take them. Don’t hand out cameras to everyone and ask them to take them for you (you can totally do that, but you should also have a pro). Hire a professional photographer and rest assured that your photos are safe, beautiful and will last you the rest of your life. You have a lot to do on your wedding day, and cooking a meal for 150 of your closest friends and family simply does not seem like something you should add to your to-do list. Even if you are a caterer, or a professional chef, just say no. Food takes a long time to prep. It takes a lot of concentration and work. You don’t have time on your wedding day to make a meal; let alone all the meals. You don’t even have time in the days leading up to your wedding to do any of that. Now is not the time to show off your chef skills for your friends and family. Now is the time to focus on yourself, your future husband, and your excitement about beginning your marriage. We don’t recommend beginning your marriage all stressed out and crazy; or smelling like a kitchen when you walk down the aisle. 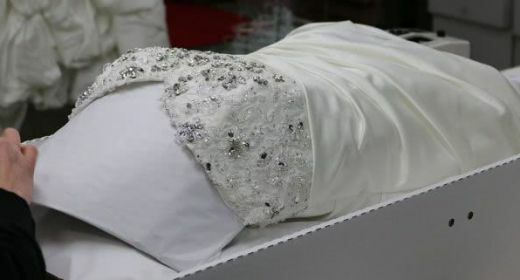 If you know anything about wedding dresses, then you know those pesky, nearly invisible stains from your wedding gown will become ugly eyesores in just a few years. Our before and after preservation gallery illustrates all the ways oils, organics and more can ruin your gown. Dance floors, grass, icing, wine… your day is filled with pretty little landmines that could render your dress a disaster down the road. 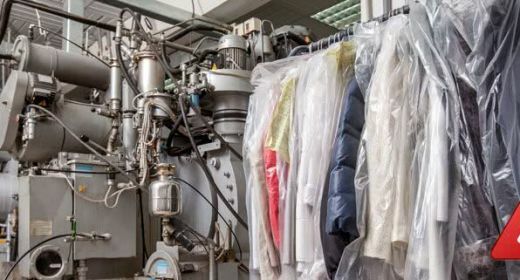 While it is possible to attempt to take this on as a DIY wedding dress cleaning project, the materials wedding gowns are comprised of get more complicated with each wedding season that passes. Choose a wrong cleaner for a particular fabric and you could have an even bigger mess on your hands. Why risk it? 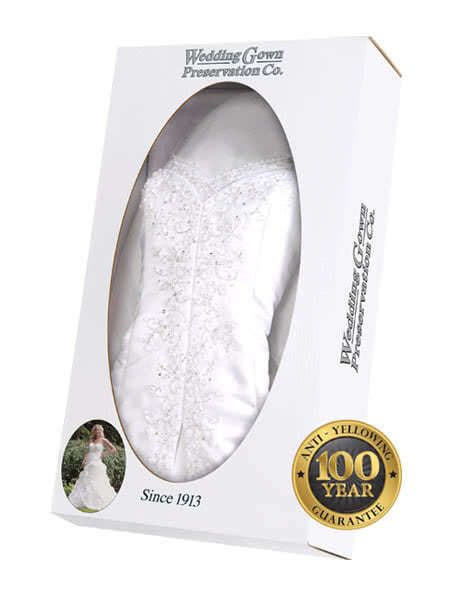 Online wedding dress preservation is an affordable and rest-easy way to ensure your gown becomes a beautiful family heirloom rather than a sad looking keepsake from your otherwise amazing day. If you want to host your rehearsal dinner at a local hotspot, go for it. However, you do not want to cook it yourself and host it at home. So many people do this, and it never turns out well for anyone involved. 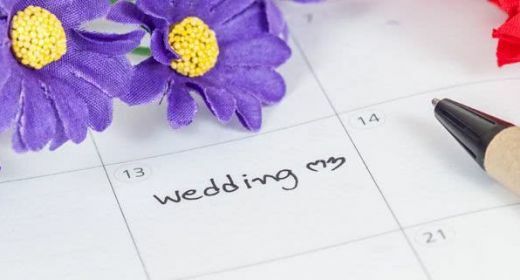 It is never a good idea to spend the day before the wedding cooking, worrying about the state of your home, worrying about chasing guests out of your home late into the night when you should be asleep and resting up for the big day the following day. It’s a nice gesture, but it’s one that is not for every bride. You need to relax, worry about last minute packing for the honeymoon, and having a good time. You don’t need to worry about making dinner for the entire bridal party. Just invite them out and do it all at a restaurant so that you can all enjoy yourselves. It’s so much less stressful, and it’s so much more enjoyable for everyone. Perhaps you are the most amazing baker in the world, and you know you can make your own wedding cake. We have no doubt you are exceptionally talented and absolutely capable of doing this, but we do think you’d be far happier leaving it to someone else. Baking a cake that needs to be the epitome of perfection is not an easy job in any circumstance. Now imagine baking your own, decorating it and transporting it in the days leading up to your wedding. We hate to be the bearers of bad news, but you’re going to be just a tiny bit busy that last week before the wedding doing other things, and baking a cake is only going to cause you to lose sleep, stress, and leave you very little time to enjoy all the things that come with living out the few days prior to your wedding. This is the time you need to book a spa appointment, get a massage and a facial, have a pedicure and a manicure, sit back with the girls and enjoy a cocktail and visit with the family who came into town to visit for the big day. Take the stress off yourself, and leave the cake making to anyone else (by anyone, we definitely mean a professional). Ladies, if you’re looking to lose all your friends in about five minutes, here is the best idea ever; make their bridesmaid dresses yourself. Even if your mom or future mother-in-law or sister or aunt is just the best little seamstress in the world, we have to lay down the law with homemade bridesmaid dresses. Why? For one, we cringe thinking of a bride asking us to wear something homemade. Secondly, it just seems like a bad idea. 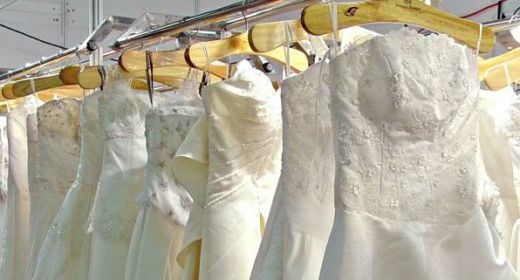 Let them choose something of their own in a specific color, or let them pick dresses that they love on their own, or pick a dress from the bridal salon and go with that one. It’s pretty easy to just let your friends choose their own dresses without making them stress out about wearing something that someone made at home. It’s just too stressful. Here’s one that so many people are doing on their own these days. It seems that many people are happy to make their own music and just hook up the iPod when the wedding reception begins. It’s not a bad idea, and we don’t hate it all the way. We do, however, think that it’s a bad idea for anyone who wants to relax. There are so many things that could go wrong here, such as the iPod battery dying or the speakers not working. Additionally, they might not be loud enough. Furthermore, who is going to stand there and look for the music you want to play at a specific time in the night? Additionally, what do you know about making sure that music is played at a certain time or when certain songs need to be played? There are so many things that could go wrong here, and it does seem so much like it’s a job that would be far less stressful on you to delegate to a professional. We do have to admit, too, that a DJ is the best thing many weddings bring to the table. When you have a DJ that knows how to do his job in a way that is amazing, you will find that your reception is that much more enjoyable. He’s there not only to play the music, but also to help entertain the crowd. And we all know everyone loves to make requests. You don’t want people up at your musical station helping themselves to the playlist and making changes, changing the music that’s already on and really causing your perfect day to take a sour turn. Yes, it is your wedding day. Yes, you know precisely what you want on your wedding day. No, you should not be the go-to person for any potential issues on your big day. It’s a much better idea to either hire a wedding planner to handle this, or to ask someone close to you with no other involvement in the wedding prep or party to do this. This is a person who can handle last minute fires, who can make sure you stay calm and that you’re not bothered by your vendors. This is a person who can hand out tips that you have already written out and put into envelopes. This is a person who can help to make you feel far less stressed, and far happier on your wedding day. After all, so what if all the wrong flowers arrived on your wedding day so long as the right ones are in place when you show up? 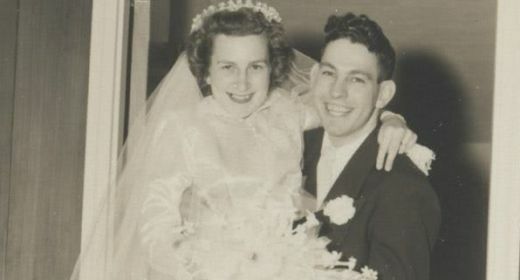 You don’t need to know that everything went awry that morning until you get back from your honeymoon. Then your friends and family can tell you all the stressful things they hid from you that day, and you can all laugh about it. There so many things you can do yourself for your wedding. We love that you want to be that involved in the planning, and we love that you want to get creative, save money and turn this day into everything you’ve ever wanted. However, we still know that you need to relax, and that there are just a few things you do not need to handle all on your own. Take it from us, and take our expert advice.